For those looking to see and do it all, the Ultimate Manhattan Experience is the way to go. You’ll travel by double decker bus throughout the world’s most famous borough and hop off at 4 exploration stops along the way: Rockefeller Center, the 9/11 Memorial, Grant’s Tomb and Little Italy. Your tour also includes free admission to the Top of the Rock Observatory, where you’ll be whisked away to the top of the famous “30 Rock” building to see 360 degree views of the skyline and beyond. Then enjoy an authentic Italian lunch at Grotta Azzurra, and sail around the New York Harbor on an included sightseeing ferry cruise, featuring views of Lady Liberty! 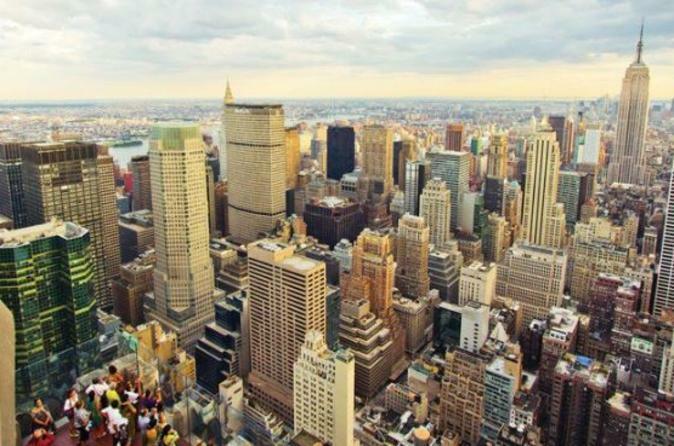 The sights you’ll see in amazing Manhattan are among the most breathtaking and well-known images in the world. This comprehensive tour of New York City’s oldest borough will show you the ins and outs of one of the most incredible cities in the world. You’ll see the best Manhattan has to offer from Uptown to Midtown to Downtown. Drive along Museum Mile, a section of 5th Avenue on the Upper East Side that hosts such world-class museums as the Guggenheim, the Metropolitan Museum of Art, and the Jewish Museum. This tour will also take you to beautiful Central Park, the iconic and exciting neon lights of Times Square, Greenwich Village, and the Financial District. Not only will you see the must-see sights of Manhattan, but this tour also includes a ticket for the harbor cruise and admission to the Top of the Rock Observation Deck. The Top of the Rock is at the top of Rockefeller Center and offers some of the best views to be had in the city!